Today marks the first day of June and we’re really excited to get the 2012 CSA season underway in just under a few weeks time. There is much to be done around the farm and we’re inviting you to stop by tomorrow (Sat. June 2nd) for a volunteer day. We welcome your help with open arms any time after 10. It looks like an overcast 60+ degree day which means It’ll be the perfect day to transplant and enjoy some good company and good conversation. We’ll be working on many projects – transplanting the rest of our sweet peppers, tomatoes, leeks & onions, hilling potatoes, weeding the freshly sprung weeds from our garden beds and hanging out with our new flock of chickens! So send us a note if you plan on coming by. 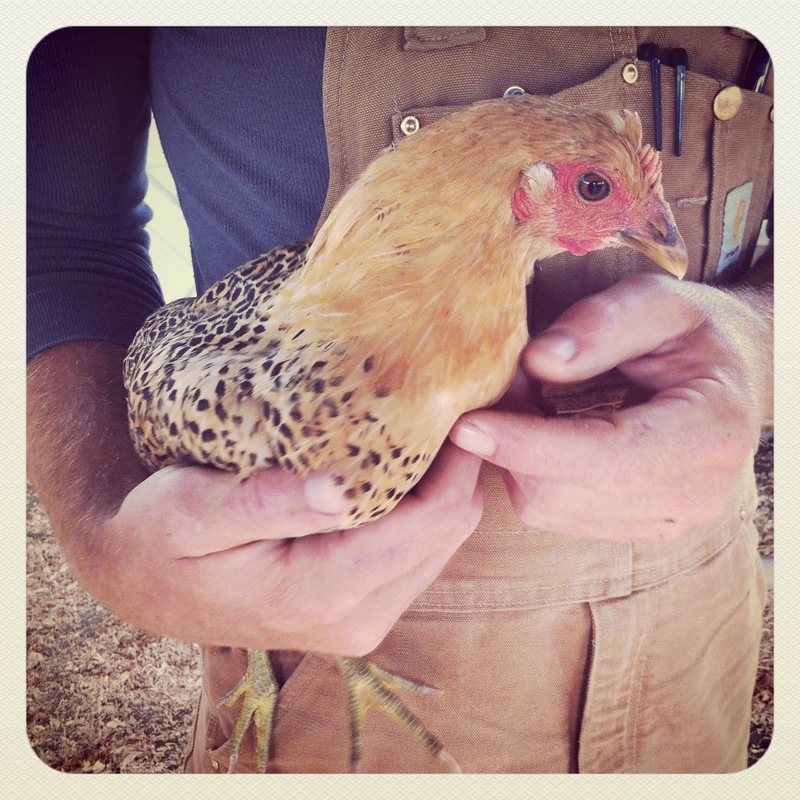 We look forward to getting our hands dirty along side our favorite farm friends! p.s. If you can’t make it out Saturday, but would like to give us a hand next week, feel free to get in touch and we can make it happen. Hey – what’s happening with the intersection there at River and Scholls? I’ve been doing the detour around it not knowing if we can get through or would need to turn around. Hey Annie. Unfortunately, it looks like they’ll be fixing up that roundabout until the 12th. If you take Tile Flat to Farmington you can get to the farm via a small detour! Feel free to stop by anytime! We have been taking the detour too. It is a long one but you can still access Farmington and River Road. Nice looking chicken; what type?